WMO Regional Climate Centers (RCCs) are centres of excellence that create regional products including long-range forecasts that support regional and national climate activities, and thereby strengthen the capacity of WMO Members in a given region to deliver better climate services to national users. Generate regional and sub-regional tailored products, relevant to RCC user needs, including seasonal outlooks etc. Coordinate training for RCC Users in interpretation and use of mandatory RCC products. The latest monthly report is issued on 15 April 2019. Monthly Highlights on the Climate System is issued on 15 April. El Niño Outlook is updated on 10 April 2019. Monthly Discussion on Seasonal Climate Outlook No.61 is issued on 25 March 2019. 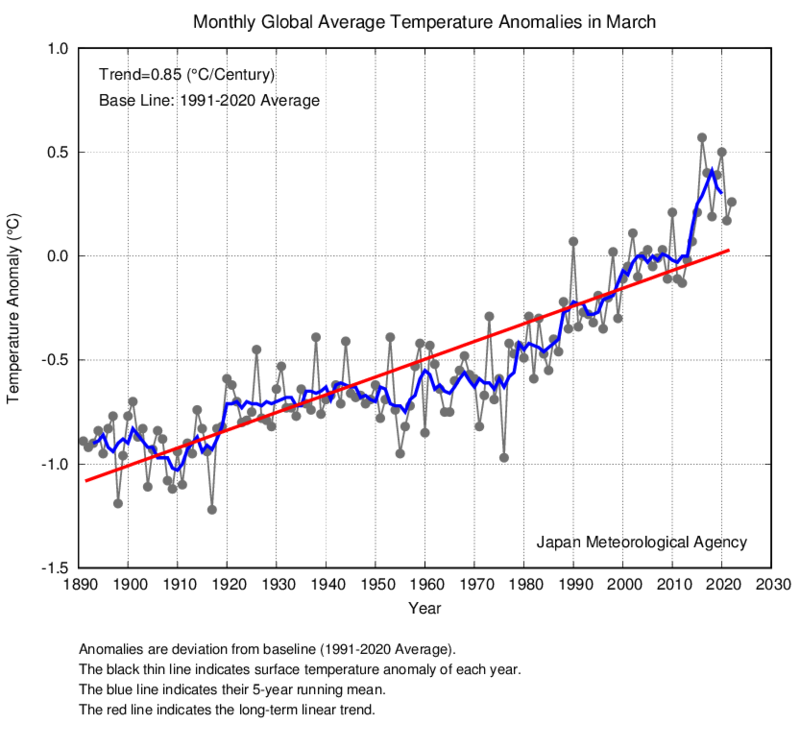 Global Average Temperature Anomalies for March 2019 is updated on 15 April 2019. Forecast for one-month ahead is updated on every Thursday. iTacs, Interactive Tool for Analysis of the Climate System, is a web-based application to assist NMHSs to analyses extreme climate events and to monitor climate status. 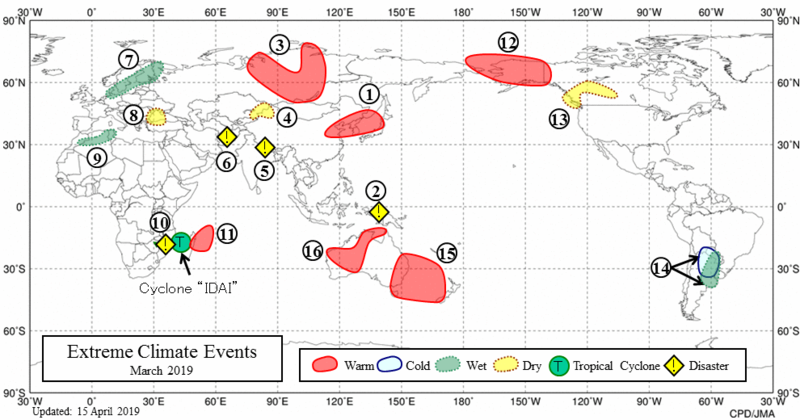 Products of long-range forecast from World Meteorological Centre (WMC) Tokyo are available. These products are based on JMA's ensemble prediction system. 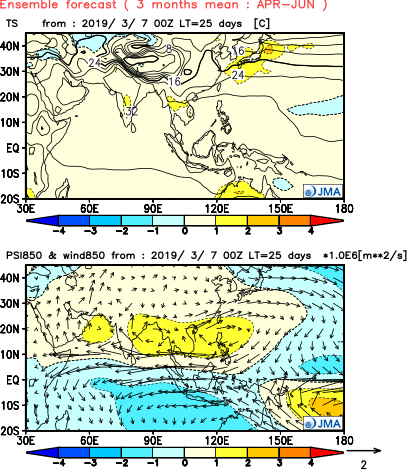 This is intended to assist NMHSs in the Asia-Pacific region in interpreting WMC Tokyo's three-month prediction and warm/cold season prediction products. "El Niño Outlook" consists of a diagnosis of current condition and prediction of El Niño/Southern Oscillation. This is issued every month around 10th. The ClimatView tool enables viewing and downloading of monthly world climate data, including monthly temperature/precipitation statistics and 30-year climate normals. TCC News, a quarterly newsletter from Tokyo Climate Center, acquaints with significant climate disasters and events, forecaster's commentaries on seasonal outlooks, besides topics on the renewal and the usage of TCC products.